In 2013, our Norwegian distributor PSO AS, delivered an AC-ROV fly-out system for a job where the ROV company cut holes in the legs of a platform to perform internal NDT scans inside the platform structure. 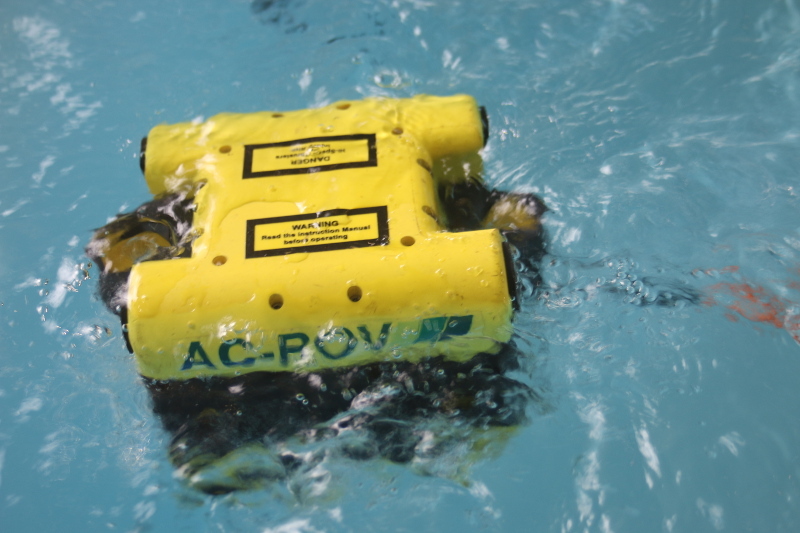 Because of its compact size and good power to size ratio, the AC-ROV successfully completed scans in an environment inaccessible to working class ROV. 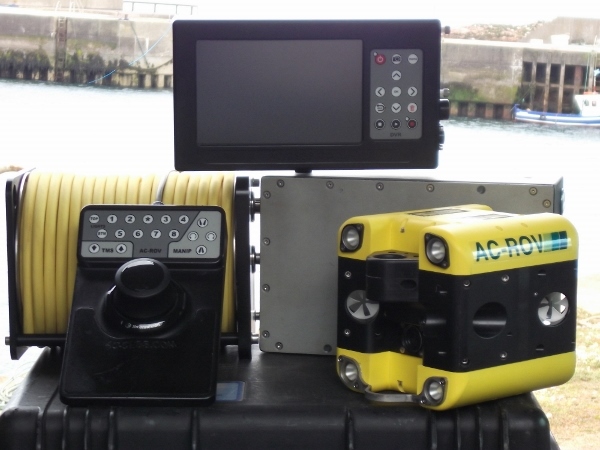 With more than 2 kg of NDT equipment, cameras and buoyancy attached to the AC-ROV, the ROV company stretched the boundaries for what they thought was possible to do with the compact mini ROV. More than two years later, the AC-ROV’s are still doing periodical NDT work, proving the robustness of the vehicles. The project which was a world’s first of its kind has been a huge success for the operator company, providing valuable data from areas unreachable for other equipment. Approved AC-ROV operator Allied Marine Logistics (London, England) carried out the world's first internal inspection of a crude oil offloading marine hose system offshore West Africa. 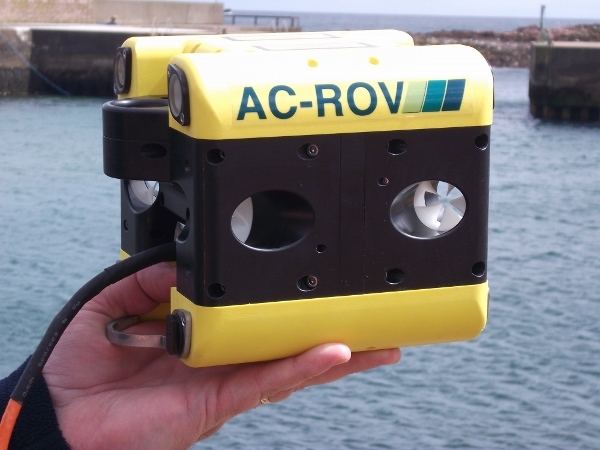 The AC-ROV was deployed and recovered from the rescue zone of an Anchor Handling Tug Supply vessel in 1m seas with a 1kt current. The AC-ROV is the only ROV capable of completing this complex inspection, with it ingressing a 12-24in flexible bonded rubber hose string. The systems cube shape and vectored thruster design gives it the ideal profile for this kind of confined inspection work. The alternative to in-situ hose bore inspection is to decommission the hose system periodically which is far more costly, reduces the availability of the terminal and runs the risk of damaging the hoses due to the additional handling. An external inspection of the hoses was also performed checking for loose bolts, third party impact damage, abrasion, kinking, leak detection devices and other early signs of deterioration. 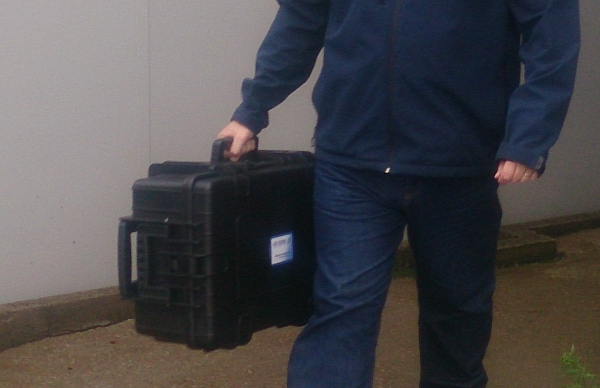 The internal and external inspections were completed within 2 working days with no down time.